Baltimore Orioles first baseman (and home-run slugger) Chris Davis was suspended today for 25 games for testing positive for Adderall, an amphetamine, which is restricted by Major League Baseball. 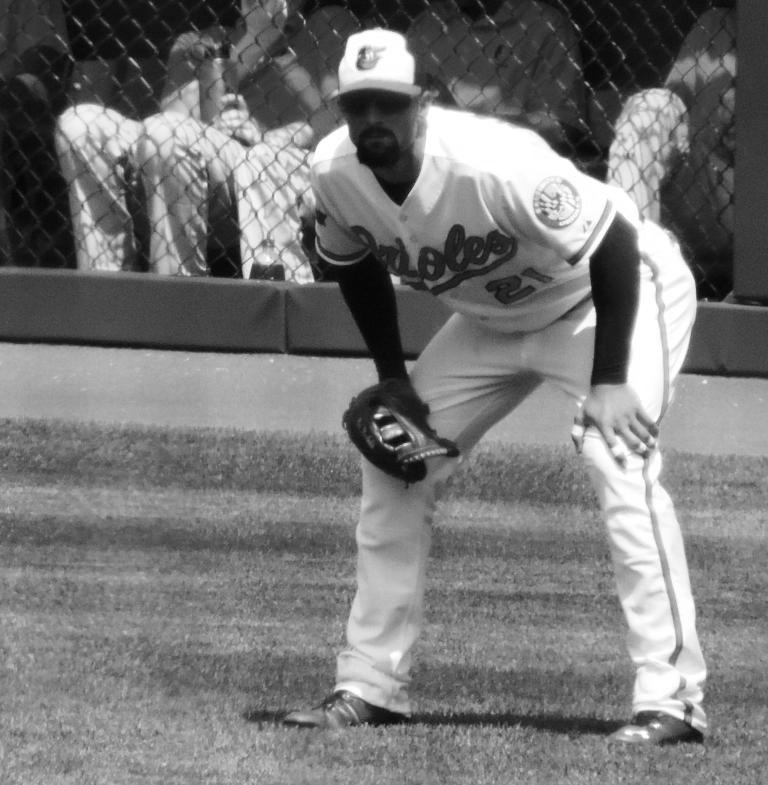 His suspension means he will miss the rest of the regular season and the first eight games of the post-season – should the Orioles get that far. Davis was having a weirdly unsuccessful (.196), successful (26 home runs) sort of season. So, sure, it’s a weirdly insurmountable (who will hit home runs now? ), surmountable (Nelson Cruz, Adam Jones, Steve Pearce, and all those other guys) problem for the Orioles as they make a run toward the post-season (something they’ve done only one other time this century). I am mad at Chris Davis. Because I trusted him not to be stupid. Let me clear something up, you whining tweeters. Yes, yes, he was cheating. Yes, it is that bad. And, no one was ganging up on the Orioles. Chris Davis broke the rules. Davis used a drug he did not have permission to use. (He had a “therapeutic use exemption” for Adderall in previous seasons. He does not have it now.) This is his second offense – hence the 25-game suspension which begins today. Adderall, used for Attention Deficit Disorders in children and adolescents, is one of those sneaky gray-area drugs. Its benefits to athletes aren’t physically obvious – with steroids you can see the effects in the beefy muscles and resulting power. Adderall acts more like a super dose of caffeine, enhancing concentration, focus, and reaction time. Since Adderall has very little therapeutic value in adults, it’s curious that baseball offers exemptions to players. Nearly 10 percent of current major league players have an exemption. Oh, sure, you wisenheimers can argue that Adderall was doing a lousy job of enhancing Chris Davis’ .196 batting average this year. But, you’re just being cheeky. Davis had permission to take Adderall in the past, perhaps even during last year’s monster 53 home run season. If something gives you an edge or a boost or helps you achieve amazing things it can’t be easy to just up and quit. And, Adderall is highly addictive. But, rules are rules and the rules say this – you cannot take Adderall without an exemption. Pretty simple. I hate when stupid and ugly things get in the way of the game that I love. Orioles rightfielder Nick Markakis has been outspoken regarding PED use in baseball. I’ll forgive you, too, Chris. I still trust Nick Markakis. Everyone else? I just don’t know. This entry was posted in Baltimore Orioles, Baseball, Life and tagged Adderall, Chris Davis, drugs in sport, Nick Markakis, PEDs by Jackie, The Baseball Bloggess. Bookmark the permalink. One has to wonder what drives a player to take PEDs. Do they not think themselves good enough to compete without synthetic help? There is a line for each of us in any chosen profession and a choice whether or not to cross it. It’s especially sad when a bad choice hurts innocent bystanders. 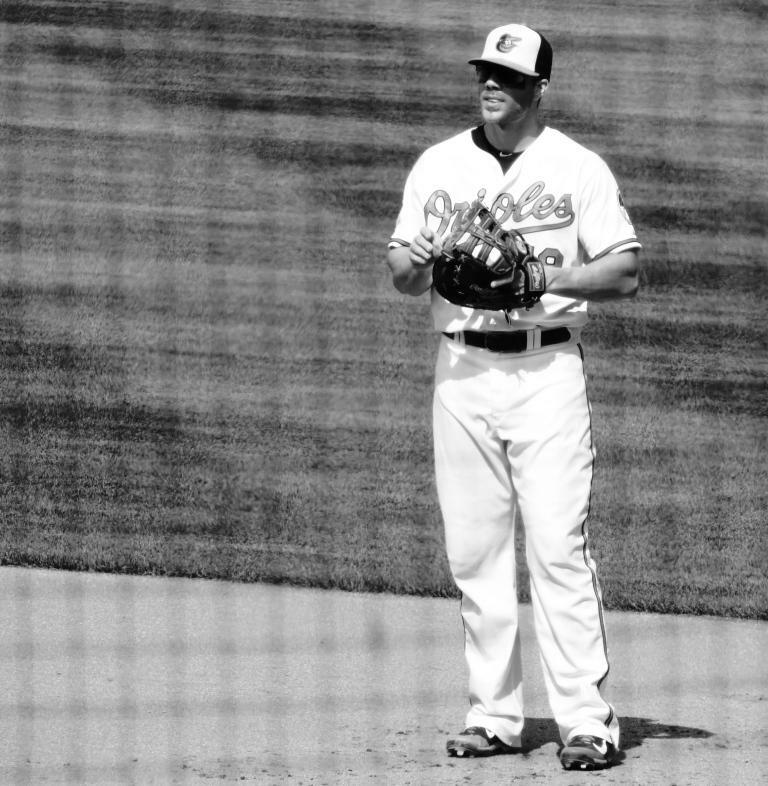 Chris Davis had an exemption to use Adderall in previous seasons. This season he’s struggled … at some point he must have thought it was worth the risk. I can’t stop thinking that there’s a bigger problem here. 10% of major leaguers are ALLOWED to take Adderall throughout the season. If it really does enhance reaction time, focus, attention, etc, that’s quite an advantage to 10% of players. Since there seems to be no reason for grown men to use Adderall — except to improve their game — maybe it’s time to just ban it, period. Of course, as a highly addictive substance, baseball may find it has another problem on its hands if it finally bans it. Thank you! I hate having to write the grumpy soap-boxy posts. I’d rather write about Dominican cooking and double plays and no-hitters and … well … everything else. I think it’s important to say that players were taking “uppers” for decades before all this juicing crap became en vogue. Take that as you see it. Oh, absolutely! And, in the generations before greenies they were doing all sorts of crazy snake oil things in order to get an edge and to stay on top of the game. We all have to gain an edge in our worlds … it’s just a matter of when you say, I’m willing to break the rules in order to do it. And, maybe Chris Davis was probably so frustrated by the season he was having, he must have thought … “yeh, it’s worth the risk”. Not to let Davis off the hook at all … but, allowing 10% of players to use Adderall, when clearly it’s helping them play a better game seems to be the real problem here. If you’re going to ban it … ban it for everyone (which is what the NHL does). It’s no fun thinking about these matters, let alone writing about them. Sorry it happened on your team. A couple years ago, when Melky Cabrera was caught in SF, we were all so disappointed that we had to deal with that during, particularly because the Giants were playing so well. I’ll still look for those O’s to play the A’s in the AL finals. My blog was just a few months old when Melky’s suspension happened. I had given up baseball for several seasons after Rafael Palmeiro told Congress he never used steroids and then promptly failed a drug test. I missed baseball too much so I came back and started writing the blog. My husband was the only one reading it … then I wrote about Melky and WordPress named it a “Freshly Pressed” post of the day — and I’ve made all sorts of new blog friends over the past two years … and I owe it to Melky. I just now went back and read my 2012 post about Melky and performance-enhancing drugs (PEDs). But, here’s the crazy thing, that I just discovered. Does this mean I’m consistent in my thinking? Wishy-washy? Predictable? A plagarist? Or, just hopelessly conflicted?